The Wyss Institute for Biologically Inspired Engineering at Harvard University that I lead was founded in 2009 to develop new engineering innovations by emulating the way nature builds. Over the past 8 years, the Institute has pioneered a new model for innovation, trans-disciplinary collaboration and technology translation, while developing an exciting pipeline of new bioinspired technologies, including two that have entered human clinical trials. A few examples include therapeutic cancer vaccines that function as artificial lymph nodes; nanotherapeutics that target to vascular occlusion sites like artificial platelets; self-assembling DNA-based nanorobots that can be programmed to kill tumor cells; and a biospleen device that cleanses blood of pathogens and toxins in septic patients. In addition to summarizing these developments, I will highlight recent advances my team has made in the engineering of microfluidic “Organs-on-Chips”—microchips lined by living human cells created with microfabrication techniques that recapitulate organ-level structure and functions as a way to replace animal testing for drug development and mechanistic discovery. I will review recent advances we have made in the engineering of multiple organ chips, including lung, gut, kidney, liver and bone marrow chips. I will also describe our ongoing efforts to integrate these organ chips into a ‘human body-on-chips’, and to engineer an automated instrument for real-time analysis of cellular responses to pharmaceuticals, chemicals, and toxins. This new bioinspired technology wave represents a major paradigm shift in medicine, and the novel organizational structure of the Institute offers an entirely new way to translate discoveries into breakthrough products in the academic setting. 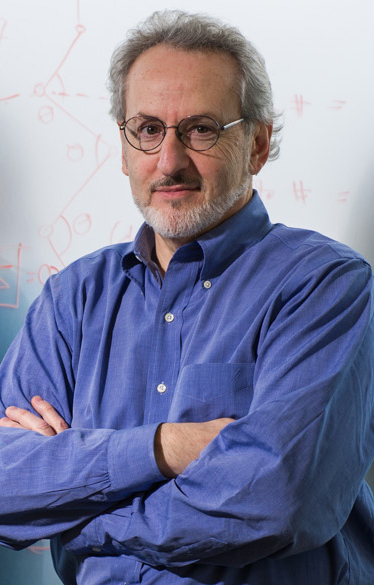 Donald E. Ingber, M.D., Ph.D., is the Founding Director of the Wyss Institute for Biologically Inspired Engineering at Harvard University, the Judah Folkman Professor of Vascular Biology at Harvard Medical School and the Vascular Biology Program at Boston Children's Hospital, and Professor of Bioengineering at the Harvard John A. Paulson School of Engineering and Applied Sciences. He received his B.A., M.A., M.Phil., M.D. and Ph.D. from Yale University. Ingber has authored more than 400 publications and 135 patents, founded 5 companies, and been a guest speaker at more than 475 events internationally. He is a member of the National Academy of Medicine, National Academy of Inventors, American Institute for Medical and Biological Engineering, and the American Academy of Arts and Sciences. He was named one of the Top 20 Translational Researchers world-wide in 2012 (Nature Biotechnology), a Leading Global Thinker of 2015 (Foreign Policy magazine), and has received numerous other honors in a broad range of disciplines, including the Robert A. Pritzker Award and the Shu Chien Award (Biomedical Engineering Society), the Rous Whipple Award (American Society for Investigative Pathology), the Lifetime Achievement Award (Society of In Vitro Biology), the Leading Edge Award (Society of Toxicology), Founders Award (Biophysical Society) and the Department of Defense Breast Cancer Innovator Award.